Mom and her pups have found the perfect tree. Time to take a Winter Ride home and start decorating. 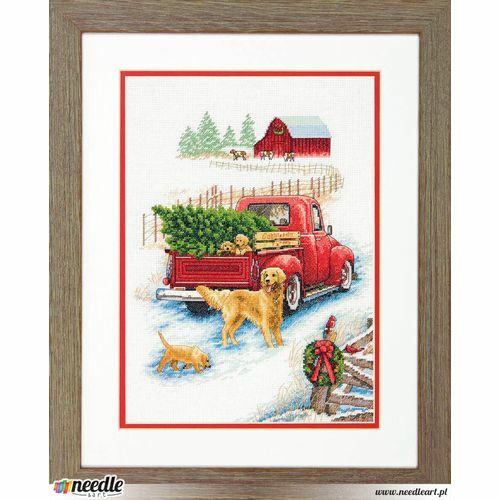 Add a vintage look to your holiday décor with this endearing design in counted cross stitch by Dimensions. Finished size: 10" x 14". © GREG & COMPANY, LLC, All Rights Reserved. 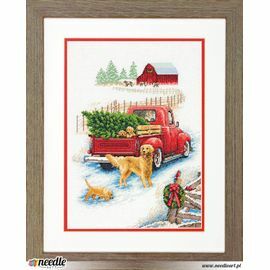 Kit contains presorted thread, 14 count white Aida, needle, and complete instructions.